It’s a fact. Trainers are getting uglier and with the amount of brands picking up the trend, they are about to get even uglier. Now we’re not talking just ugly here, we’re talking proper ugly. We’re talking you-so-ugly-when-you-were-born-the-doctor-smacked-your-mumma, ugly. We’re talking Jerry Seinfeld’s trainers on steroids ugly. With fashion’s love of all things 80s for a while now and the white trainer trend having been adopted by everyone from the insta-famous to school mums, it seemed likely that this is where we were headed but it still comes as a shock to see the bulbous, bright, orthopedic-looking ugly buggers AKA dad trainers popping up all over the high street shelves. 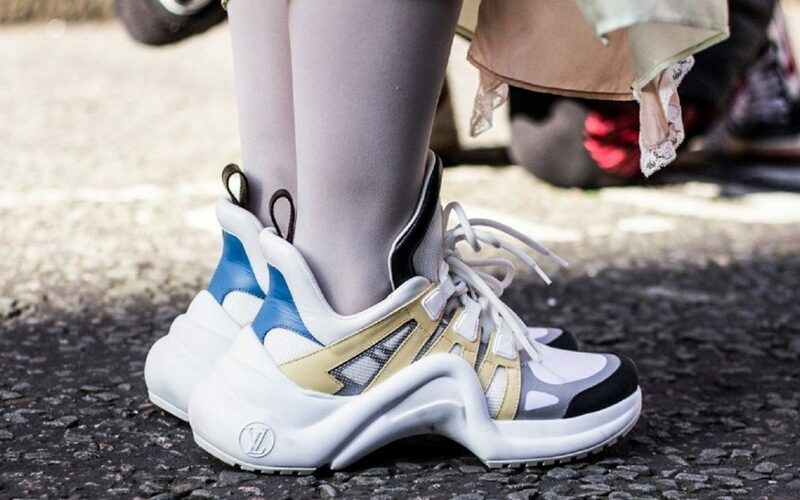 The trend started with Balenciaga and its sell-out Triple S trainers and has been quickly picked up by everyone from Gucci to Nike. It’ll be interesting to see where and when it ends. Will it be a blink and you miss it trend or will we be eating our words and be making-like Frankenstein’s monster in a few months time stomping around in our very own neon striped, dodgy looking footwear? Here’s a few street styles for you to enjoy. We’re pretty sure we’ll be leaving this one well and truly alone and stick with our trusty Stan Smiths but never say never. What do you think? Are you in or are you out? We’d love to hear your thoughts.